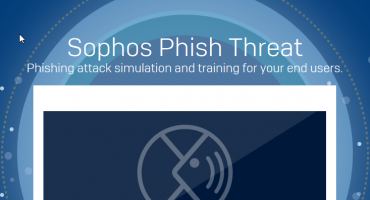 Sophos is a security software and hardware company which develops products for communication endpoints, encryption, network security and unified threat management. Sophos is focused on keeping IT security simple and reliable as IT networks grow in complexity. A proper security strategy must include networks, servers and devices managed easily through the cloud. Sophos offer products which allow users to secure every end point of their network, from laptops to virtual desktops and servers, to email traffic and mobile devices. Sophos Central – helps you manage security policies and administer multiple products from a single web interface. Using a synchronized security management platform, you’ll benefit from security intelligence sharing, policies that follow users, easy configuration, detailed and summary reporting, and automatically prioritized alerts. Endpoint Protection – blocks malware and infections by identifying and preventing the handful of techniques and behaviours used in almost every exploit. Endpoint doesn’t rely on signatures to catch malware, which means it catches zero-day threats without adversely affecting the performance of your device, meaning you get protection before those exploits even arrive. By correlating threat indicators, Endpoint can block web and application exploits, dangerous URLs, potentially unwanted apps, and malicious code from ever touching your endpoints. 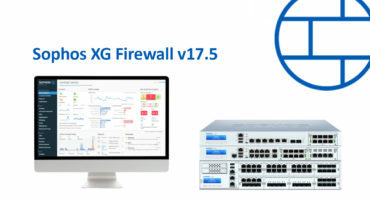 XG Firewall – provides unprecedented visibility into your network, users, and applications directly from the all-new control centre. XG Firewall has all the latest advanced technology you need to protect your network from botnets, hacks, and advanced threats. It is the only network security solution that is able to fully identify the source of an infection on your network and automatically limit access to other network resources in response. This is made possible with our unique Sophos Security Heartbeat™ that shares telemetry and health status between Sophos endpoints and your firewall. Intercept X – adds next-generation signatureless technologies on top of your current endpoint security to give you complete, layered protection. With ransomware the number one malware attack affecting the organisation, by encrypting users files and holding them hostage until a ransom is paid, it causes massive disruption and implications to business productivity. Intercept X features CryptoGuard, which prevents the malicious spontaneous encryption of data by ransomware, once ransomware gets intercepted, CryptoGuard reverts your files back to their safe states. 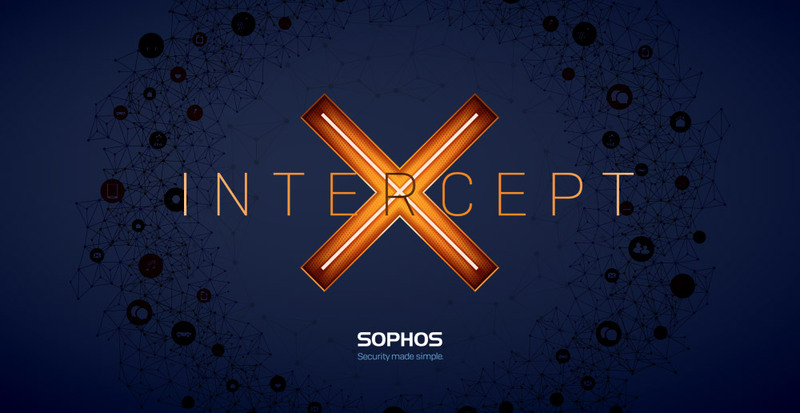 Sophos Intercept X for Server – Cloud and on-premise server protection. Intercept X for Server offers a comprehensive, defence-in-depth approach using deep learning malware detection, exploit prevention, anti-ransomware technology, application whitelisting, active adversary protection, and in-depth root cause analysis. Whether in the cloud or on-premises, you need to protect the critical applications and data at the core of your organization. SafeGuard Encryption – encrypts content as soon as it’s created. By having the encryption always on, you can enjoy seamless secure collaboration. Synchronized Encryption proactively protects your data by continuously validating the user, application, and security integrity of a device before allowing access to encrypted data. 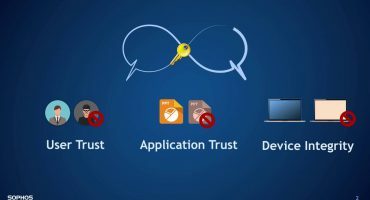 Sophos Central Device Encryption – The easiest way to manage full disk encryption. Each year, millions of laptop computers are misplaced, stolen, or lost; many of them containing important and sensitive data. Full disk encryption is the essential first line of defence to protect your data in any of these events. Sophos Central gives you the ability to manage full disk encryption from a single, integrated, web-based management centre. Phish Threat – educates and tests your end users through automated attack simulations, quality security awareness training, and actionable reporting metrics. Phish Threat provides you with the flexibility and customization that your organization needs to facilitate a positive security awareness culture. Sophos Wireless – Smart, secure cloud-managed Wi-Fi. Sophos Wireless provides an easy, effective way to manage and secure your wireless networks. Sophos Wireless combines the power of the Sophos Central platform and our unique Security Heartbeat™ functionality, to monitor and act upon the health status of connection endpoint and mobile clients and so reduce the risk to your trusted Wi-Fi networks.